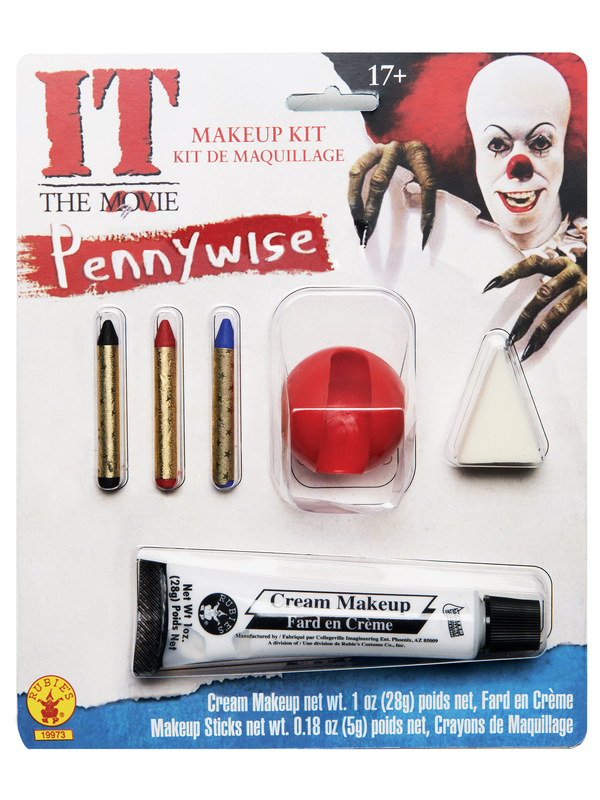 You’ll have that IT factor with the Classic Pennywise adult make-up kit. 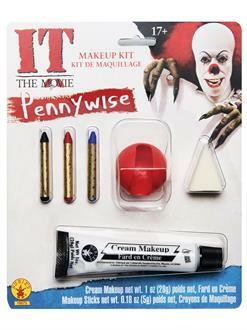 This fearsome clown is back in style -- but you can recreate his old school look with this convenient kit. Package includes black, red, and blue make-up pencils, white cream make-up, a sponge applicator, and a silly rubber nose! Great for Halloween or cosplay. Shop officially licensed costumes and accessories online now.